On your journey towards receiving your CAPM Certification it is important to select the right CAPM exam prep course. Browsing the web to find that perfect course can be frustrating. We are here to end that frustration with our simplified comparison charts and insightful market research to help you make the best decision possible. If you are going to be spending many hours studying, it’s crucial to find the course that best fits your learning style and background so that your time is not wasted. So here’s the good news, we have researched and reviewed every major online CAPM training course on the market so you don’t have to! The comparison chart below will help you determine the study materials which best fit your needs. 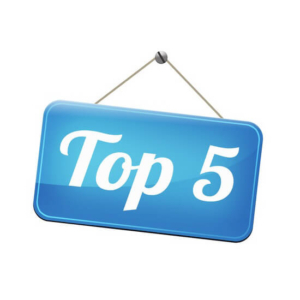 What are the Best CAPM prep courses? Easy-to-Understand Content: The creators of PM PrepCast for the CAPM understand that the material can be complex and difficult to understand, that’s why the course is in everyday English and not the overly-complicated language within the PMBOK Guide. The lessons are also based on student and expert feedback, so you know the 10 lessons have been designed to be the best way for students to learn tricky concepts. Mobile Access: You can use the PM PrepCast for CAPM review course anywhere you go with the mobile “Personal CAPM Trainer.” If you want to study on your drive to work, while you’re walking your dog, during your lunch break at work, or anywhere else, you can as long as you have access to your tablet or smartphone. 23 Contact Hours: While using the PrepCast CAPM review course, you will also be completing your 23 contact hour requirement that is necessary in order for you to apply for the exam. Since it is a PMI Registered Education Provider, PrepCast has been used by thousands of students to satisfy this prerequisite and save money. No Free Demo: The PrepCast CAPM review course has a lot of impressive features such as its large practice question bank and hours of video lessons, but it does not offer a free trial of the course. However, it does offer a 90 day money back guarantee if you end up not liking the course. Bottom Line: The PMPrepcast CAPM study course is extremely user-friendly and designed with a focus on the modern student. They offer an easy to understand curriculum with full mobile compatibility. Efficient Program for Reduced Study Time: BrainBOK’s strategy is to give clients a way to study for the CAPM exam more quickly and efficiently. A variety of learning tools include the ITTO (Inputs, Tools and Techniques, and Outputs) Explorer, which presents all 47 Project Management processes in an interactive chart, and a feature to review the most bookmarked flash cards by all users in the program. Bargain Price: For only $139, you’ll get access to a complete online prep program, more than 800 practice questions, course analytics, a concise summary of the PMBOK Guide and important formulas, and 3 full-length simulated exams. That is a lot of content and practice material for a course that costs less than $150. 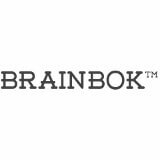 Free Materials & Features: BrainBOK offers access to a free account that includes unlimited access to their ITTO Explorer, quizzes, an exam simulator, and 150 flashcards. You don’t even have to register if you have a Google account, you can just sign in and start studying for the CAPM exam. No Mobile App: BrainBOK does not offer a mobile application, but the company claims that most features of the course can be accessed without problems on mobile devices such as tablets and smartphones. Their flash cards are designed to work well with iPhones/iOS devices. Bottom Line: Although students looking for a mobile app will be disappointed, individuals studying at home will love BrainBOK’s vast collection of study materials that come at a very reasonable price. 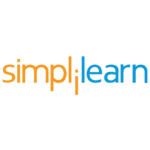 Established Company with Proven Success: Simplilearn is the largest certification training provider in the world, with more than 2,000 certified and experienced trainers who have trained more than 400,000 professionals. Accredited by PMI, the CFA Institute and other industry leaders, Simplilearn’s overall 98.6% pass rate for first time test-takers makes it an excellent choice. Price & Refund Policy: For $399 you’ll get 9 hours of quality e-Learning content, 23 PDUs, 2 CAPM simulation exams, 12 chapter-end quizzes, a downloadable e-book for 30 days. If you need more time. Simpli Learn also offers a 3-day money back guarantee if you decide their course is not a good fit. Free Course Preview: Check the course website for an 18 minute preview of the CAPM course and watch the first three short lectures in the first lesson for free. This will give you a good idea about the setup of Simplilearn’s course to determine if it is the right choice for you. Fewer Videos and Less Instructional Content: Simplilearn is a budget option, so it offers considerably less content than many of its competitors. You’ll only get 9 hours of online content and fewer practice questions compared to more than 20 hours and hundreds of practice questions included in courses offered by other leading training companies. Bottom Line: With a convenient free course preview and glowing recommendations from PMI and the CPA institute, students can rest assured that SimpliLearn will provide the CAPM education they need to succeed. High Exam Pass Rate and Accreditation: Having trained more than 15,000 trained professionals and boasting a higher than a 97% pass rate on the CAPM exam, GreyCampus can be trusted to get the job done when it comes to passing the CAPM exam. The course is fully accredited by a number of organizations including the PMI. 1 Year Access to the Course: You will have an entire year of access to the online course and all study materials. This is several months more than leading competitors (most CAPM courses range from 30-180 days), making it a great choice if you can only study small sections of the test at a time. Note that the instructor helpline feature is only available for 30 days, so you should plan accordingly. Quality Materials: In addition to the on-demand audio video lectures, you will get a 23 Contact Hours Certificate, simulated exams, flashcards, tool kits, and a complete overview of the PMBoK5 and CAPM Certification exam. A complete program syllabus and agenda that lists all covered topics in the course is available on the GreyCampus website. No App: Most students appreciate the convenience of studying with an app on their smartphone or tablet while traveling or commuting to work. Unfortunately, GreyCampus does not offer a mobile app to provide additional study options for the CAPM at this time. Bottom Line: With the quality materials and full year of access included in their CAPM course, it should come as no surprise that GreyCampus has such an impressive student pass rate. It’s just a shame that they don’t have an app. Check out our reviews for PMP Certification training courses!